What do tiny houses, ear muffs, and wine have to do with content marketing? Give up? They have all been known to help Ann Handley hone in on her craft. This week, we’re paying homage to a content marketer who inspires an entire industry. 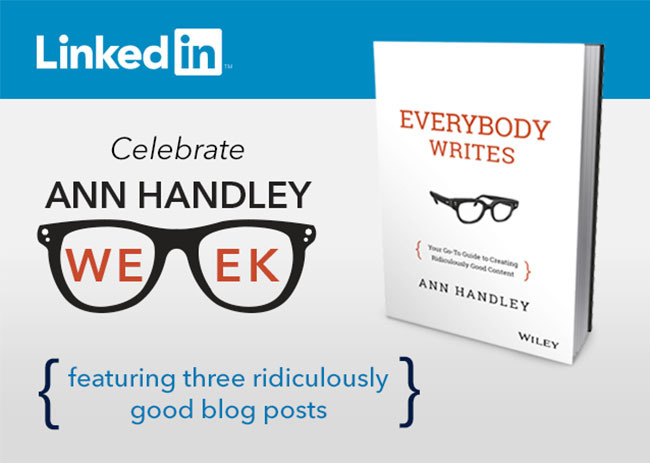 That’s right, it’s Ann Handley week on the LinkedIn Marketing Solutions blog. Stay tuned for a preview of Ann’s new book, Everybody Writes, and later this week, we are showcasing Ann’s greatest hits. But first, we were fortunate enough to get a few minutes of Ann’s time and ask her some questions. And as always, Ann delivered with amazing insights and advice. Enjoy! LinkedIn: Ann, it’s apparent you take your writing seriously. Where do you prefer to write? Ann: I built a tiny house in my backyard and that’s my place where I go to write. It’s actually a tiny office, a 12 x 16 foot structure with a little porch. It’s very simple, just one room. There’s an internet connection, a desk, and me. LinkedIn: What is it about that space? Ann: I need total silence when I write. I have worked out of my home for a long time, and the downside of working from home is it can be distracting. This gives me a dedicated space where I can focus. There are no distractions. No kids and no refrigerator to open up and stare at multiple times per day. Ann: Great writing inspires me. There’s great writing in marketing that is inspiring. I also get a lot of inspiration from outside our industry. For true inspiration, I like reading really good fiction and non-fiction. I’m also a big fan of the New Yorker. It inspires me to be a better content creator. LinkedIn: Do you have a go-to playlist when writing? Ann: I can’t listen to music while I work. It’s why I like my little office. It’s quiet. Sometimes I put on headphones with no sound. They’re kind of like my writing earmuffs. LinkedIn: Hemingway was known to write drunk and edit sober. We have to ask, do you follow this advice? Ann: [Laughs loudly] Sometimes, yes. Not to the point of inebriation, but I will have a glass of wine to help me get loose and inspired from time to time. I think the spirit of this quote, whether alcohol is involved or not, is to allow yourself to create freely. Sometimes wine is involved, sometimes it isn’t. LinkedIn: If you had a sandwich board as a means to share content marketing best practices, what three tips would make the cut? Ann: Make it enjoyable, make it useful, and make it inspired, whether it’s inspired creatively, or by data, or both. LinkedIn: How would you suggest marketing departments ‘shake things up’ in order to create remarkable content? Ann: I think pathologically great writing is becoming lost within the content marketing conversation. Content marketing is becoming more visual, which is great and it’s a big part of the conversation. But ultimately, writing is the central nervous system of content marketing. Writing has to be at the center and then all the rest of the pieces can take shape. One of the biggest, missed opportunities for content marketers and companies is to write with a strong, unforgettable voice. LinkedIn: In Everybody Writes, you discuss how brands must communicate using honest empathy to connect with customers. What brands do you think do this well and why? Ann: An example of a small company doing this well is Crowd Mics, which turns people’s wireless devices into microphones. What I love about them from a content perspective is they produced a video that clearly describes the pain of a typical conference Q & A. They dispensed with the features and produced a simple video that connects with the audience by solving their pain point. No fluff, no over-production. For a larger company, I love what LinkedIn is doing. The example that comes to mind is a SlideShare presentation LinkedIn produced featuring a musician named Matt Henshaw. The SlideShare shows how he launched a successful comeback to his music career using LinkedIn. It plays out in a compelling way, and as professionals who have all tried to re-launch our own careers, we can all relate to Matt’s story. The “What’s your dream?” CTA really brings it home and compels viewers to take a relevant action and update their LinkedIn profile. LinkedIn: Why do you think some brands continue to struggle in telling a story that connects with their audience? Ann: Some brands are doing it really well, but storytelling is not a skill marketers have necessarily needed over the last few decades. It’s a new skill the marketing industry is developing. MarketingProfs and CMI will release the results of our annual study in a few weeks, and the good news is our research shows that brands are beginning to recognize the importance of storytelling. LinkedIn: What advice do you have for up-and-coming marketers? Ann: Many new marketers haven’t thought about writing outside the context of college, so the short answer is to up your writing skills. Marketers can take all the content they are producing, whether it is a blog post or a social message, and attempt to reframe it as a valuable part of their company’s story. The reason writing needs to be the core is because writing is thinking. People who learn how to write well tend to think deeply about what they are creating. LinkedIn: Do you currently have a content marketing or blogger crush we should know about? Ann: I really like Lee Odden, CEO of TopRank. He’s super smart and does a lot of things really well. I also like Doug Kessler of Velocity UK. 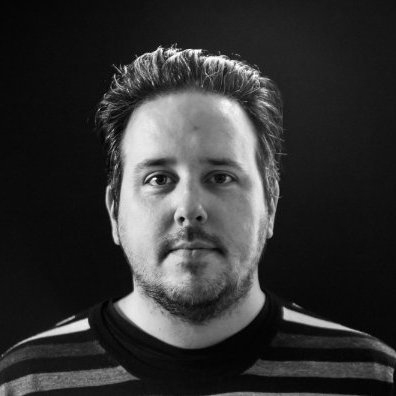 He thinks differently, and I like how he approaches content marketing.